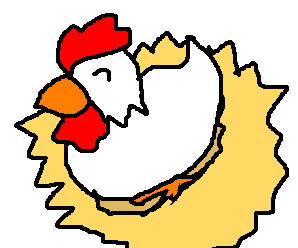 This is a happy chicken sitting in its new nest. It was made by her own hands, despite her lack of hands. As a chicken this sort of thing can't really be helped. I suppose it was probably made by here own talons rather than her own hands. The basic idea is fairly obvious at any rate.